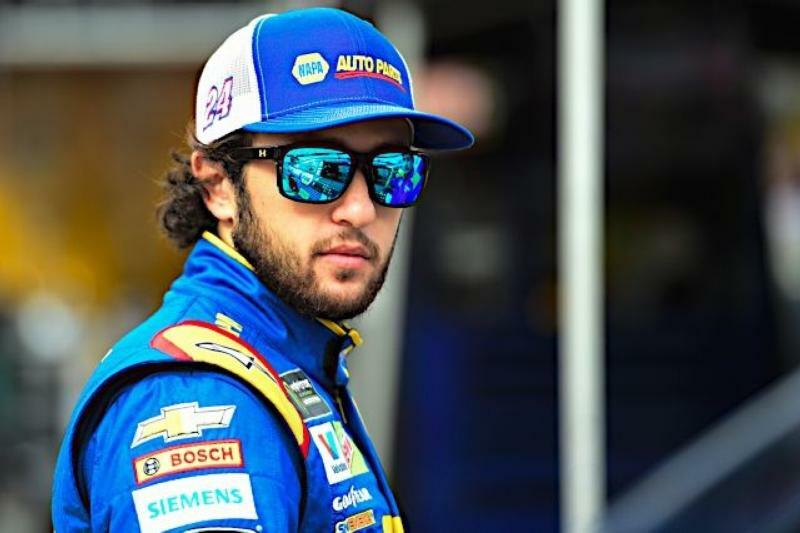 Fan favorite Chase Elliott and several other stars from the Monster Energy NASCAR Cup Series are expected to compete in the Food City 300 NASCAR Xfinity Series race on August 17. Earlier this year, Elliott announced his intention to drive the No. 23 machine for GMS Racing in several Xfinity Series races, including the Food City 300 at Bristol Motor Speedway. Elliott has posted top 10 finishes in all four of his Xfinity starts at BMS, with a career-best of third. He will be looking to improve on that stat Friday night under the lights. "Bristol is just a special place and a track that I've loved watching races at," said Elliott, who won the 2014 Xfinity Series season championship and has earned five career victories in the series. "The track definitely has a little bit of a different feel and is a unique spot being surrounded by fans in the stands and the Tennessee mountains. It's very small and tight, which produces great racing." Another driver who is scheduled to participate in the double-header here in August is the race's defending winner, Kyle Busch. The race is listed on his schedule of upcoming races on his website as the final of the maximum seven Xfinity starts that Busch is allowed to compete in per NASCAR rule. Last year at Bristol, Busch had a dream weekend and duplicated his amazing feat from 2010 and swept all three major races during the Bass Pro Shops NRA Night Race weekend. He remains the only driver in NASCAR history to win three of NASCAR's marquee tour races at the same track in a single weekend. Last August he held off Joe Gibbs Racing teammate Daniel Suarez to claim the Xfinity Series victory, his record ninth Xfinity win at Bristol Motor Speedway. Busch won't be able to chase another three-peat this year at Bristol due to new NASCAR rules governing Cup Series drivers' participation in Truck Series events. Busch or any other Cup regular isn't eligible to compete in the UNOH 200 Camping World Truck Series event on Thursday night because it is the regular season finale for the series. Three other Cup regulars are also expected to take the green flag in the Food City 300: Joey Logano, Ty Dillon and Kyle Larson. Logano will drive one of the Team Penske Xfinity Series Fords, Dillon will pilot the No. 3 Chevy owned by RCR and Larson will be at the controls of the No. 42 Chevy Xfinity entry for Chip Ganassi Racing. Logano has two Xfinity Series victories at Bristol while Larson and Dillon are looking for their first Xfinity victories at Bristol. Dillon has made eight Xfinity starts at BMS with a best of fourth place on three occasions. Larson has claimed two Xfinity poles at BMS and has finished a career-best second two times in his eight career starts. The addition of the Cup regulars won't be a daunting item for any of the Xfinity Series' primary drivers, who generally welcome the added competition. Veteran driver Elliott Sadler is the current series points leader and will be driving his No. 1 JR Motorsports Chevy. RCR's Daniel Hemric, Stewart-Haas Racing's Cole Custer and a pair of two-time season winners, Justin Allgaier of JR Motorsports and Christopher Bell of Joe Gibbs Racing, headline a talented and hungry pack of Xfinity Series regulars. Sadler has won both an Xfinity Series race at BMS (2012) as well as a Cup title (2001) and is very confident racing at the all-concrete high-banked half-mile. "Bristol Motor Speedway is an awesome track and a track that I circle each year on my calendar," Sadler said. "Bristol is a strong track for me and a track where my team knows we can be competitive. Our last four runs there have all been top-four finishes. I like our odds of getting our Chevrolet to Victory Lane." There are four races scheduled during three nights of racing at the Bass Pro Shops NRA Night Race weekend, including action in the Whelen Modified Tour, Camping World Truck Series, Xfinity Series and the Monster Energy Cup Series. During the Cup race, you'll get to see all of your favorite drivers doing what they do best, including Bristol dominator and defending winner Busch, his arch-rival Larson, rising star Ryan Blaney, 2016 Night Race winner Kevin Harvick, Daytona 500 winner Austin Dillon, defending series champ Martin Truex Jr., second-generation star Elliott, Erik Jones, Brad Keselowski, Denny Hamlin and Bubba Wallace. There's so much to do during the weekend around the grounds of Bristol Motor Speedway, including stops in the Fan Midway, Fan Zone and Kids Zone. There's music, games, food, souvenir haulers, driver appearances, autograph sessions and more. There's great video entertainment provided by Colossus TV, the world's largest center-hung video screen. You'll also want to kick back and enjoy some NASCAR-style tailgating with your friends prior to each night's race. And speaking of fun, on Thursday, one of the biggest and longest running fan fests on the NASCAR circuit kicks off with Food City Family Race Night. There'll be plenty of appearances by drivers, legends and other celebrities during this event, which takes place in the BMS hospitality area and lasts from noon until 6 p.m. If you want to bring the entire clan out to experience the amazing fun that is America's Night Race, Bristol Motor Speedway officials are making it easier than ever for families to enjoy the weekend. Kids' tickets (12 and under) are free and adult tickets start at $30 for Thursday's (Aug. 16) UNOH 200 NASCAR Camping World Truck Series race and the Bush's Beans 150 NASCAR Whelen Modified Tour race. On Friday (Aug. 17), kids' tickets are free and adult tickets start at $30 for the Food City 300 NASCAR XFINITY Series race and Pinty's Qualifying. On Saturday (Aug. 18) adult tickets start at $70 for the Bass Pro Shops NRA Night Race and kids' tickets are $10. For all races, each child must have a physical ticket in hand to enter the gates. The Bristol Motor Speedway ticket office is the only authorized location that can produce the free kids' tickets. Tickets can also be purchased for a limited time directly from any neighborhood Food City store. To purchase tickets, please call 423-BRISTOL or buy them online at www.BRISTOLTIX.com.